Protest against revoking Article 370 in Kashmir. 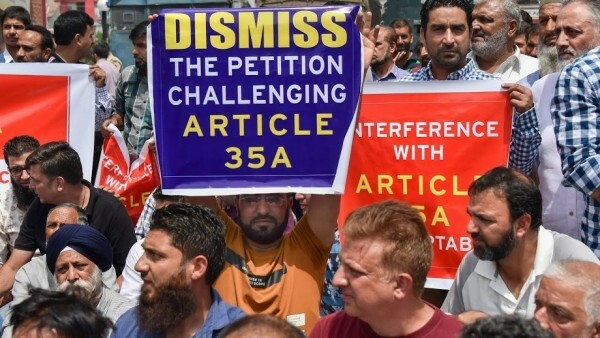 Calling the issue of terrorism in Jammu and Kashmir the biggest challenge before India, Finance Minister Arun Jaitley has said it cannot be solved until the "failed obsolete thought" of Article 370 as a "loose constitutional connect" between the state and the rest of the country is rejected. Jaitley said that poverty was declining at a fast pace, urbanisation was increasing, the size of middle class was growing and the economy was expanding, which would result in the creation of jobs.